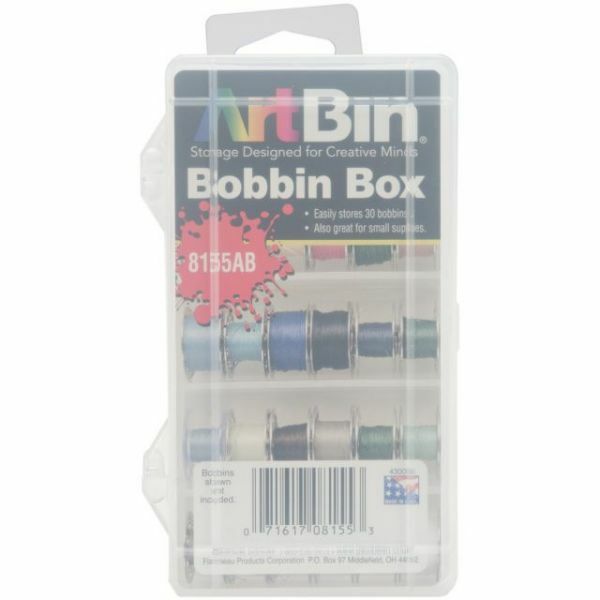 ArtBin Bobbin Box - ART BIN-Bobbin Box is ideal for storing all your bobbins or other small sewing notions. This clear plastic box stores up to 30 bobbins and securely closes with a snap lid. Measures: 3 x 6 x 1.25 inches. Imported.